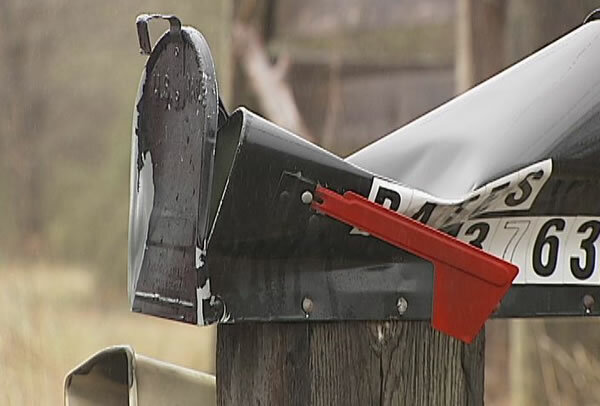 Mailbox vandalism has become more common over the years. In fact, some neighborhoods have been faced with the dilemma of having no drop box for their mail because the postal service is tired of replacing mailboxes. Strangely, it is not just vandalism that has become a problem but also theft of the entire mailbox. Manufacturers are attempting to build stronger mailboxes to deter these types of thefts but innovative criminals are responding by destroying mailboxes with pipe bombs. There is no question mailbox crimes will continue. If you’re worried about your residential mailbox or your commercial mailbox being vandalized, there are things you can do to prevent it from happening. Remember, the act of vandalizing mailboxes or mail within mailboxes is a federal crime because mailboxes are federal property. This type of displayed information about the fine might deter some criminals from engaging in mailbox vandalism but it certainly won’t matter to everyone. Some mailbox vandals are simply looking for the thrill of destroying property or might be intent on gaining access to your personal mail. They might think they will never get caught and thus not care about the possible penalty. A couple of things Postal Inspectors recommend is obtaining a Label 33 and attaching it to your mailbox. This sticker provides a warning to would-be thefts or vandals that deliberately damaging mailboxes and stealing mail are federal crimes. You can also help prevent theft of the mailbox if you ascertain it is in good repair and is installed properly. Both of these steps will make it more difficult for the potential thieves and vandals to do their dirty work. Postal Inspectors suggest all homeowners immediately report any mail theft, mailbox vandalism or mailbox theft to their post master’s office. By reporting these incidents you can make the local authorities more aware, make your neighbors more aware and likely scare these mail criminals away from your neighborhood. Those who are victims of mailbox or mail vandalism will need to fill out a Mail Loss and Rifling report or Mail Loss and Vandalism Complaint in order to allow Postal Inspectors determine if the problem is just an isolated incident or one that occurs frequently in the area. This information you provide can help them determine what further action is required to stop the tracks of the thief.